The passenger side electric window has been playing up for years now and i really want it fixing. If you lower the window its very slow, raising once you've done this is even slower! sometimes making a clicking noise, and when the window reaches the top, the motor clicks like the mechanism is slipping. The driver side just stops, no noise. Ive disconected the glass and let the mechanism work without load and it seems fine, the glass seems to move fairly freely in the channels (when raising and lowering by hand). So does this mean its just a tired motor or maybe a broken cog inside? slipping under strss of the load? I was going to reove the motor but am not sure how. Can someone advise? I think that the engine is very tired. I had the same symptoms on mine before it ceases functioning definitively. But I did not have time to look at more closely. Thanks for the pictures, would you say its work the effort to try to fix it, im thinking even if i find the fault, the part won't be available, except if i buy the full motor? thats if i can get that? I was going to remove the motor but am not sure how. Can someone advise? 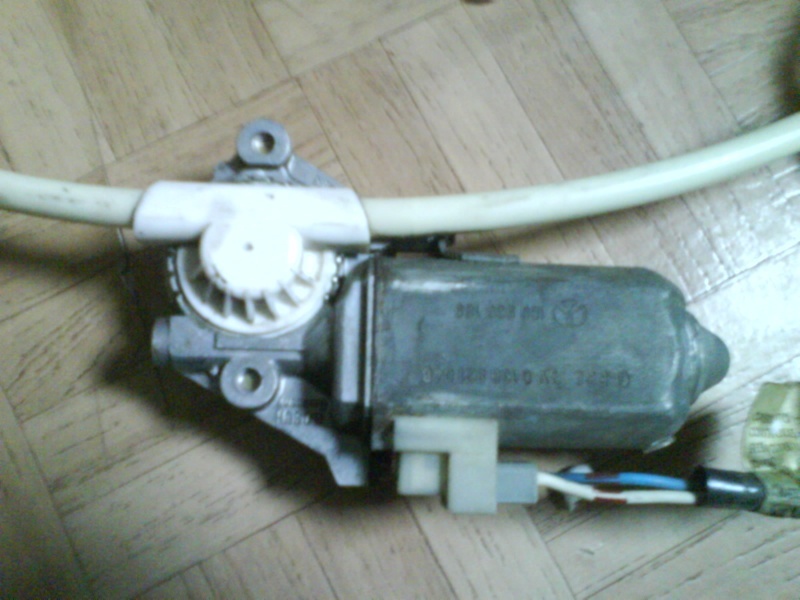 I have renovated the motors, it can be done and also cheap. 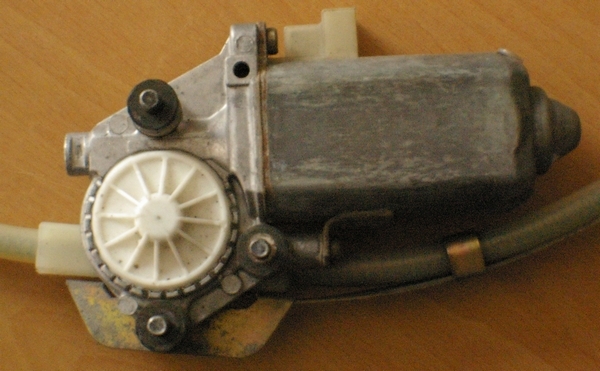 Lubricating everything will help, but the motor wil not get back to the original power. 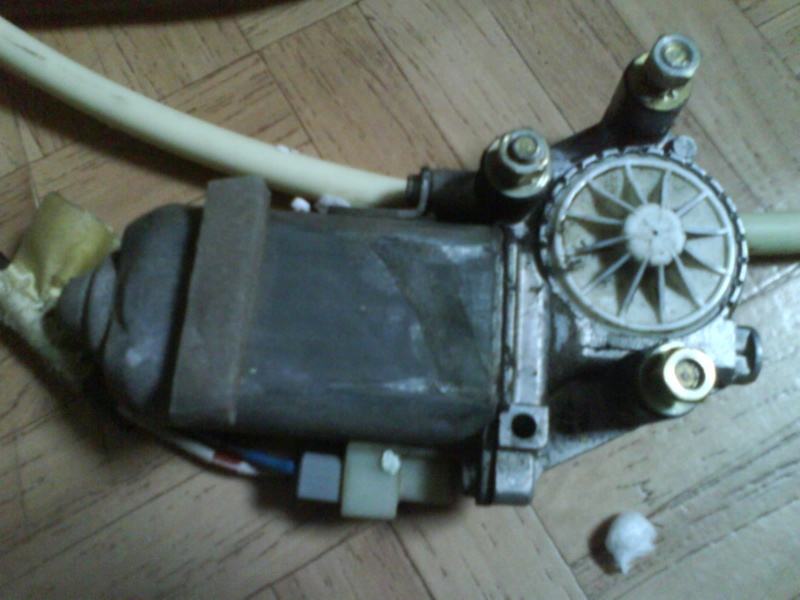 In time a electical motor will lose EMK (electrical motorpower). That is caused by losing Magnetisme over time. However you can gain a lot by waxing windowslides and frame, and put in new silcon grease in the gearbox and slider. Also cleaning the motor and lubricating will help. I'll try and remove it later and see whats to do, thanks for the info.. If you did all that, and the system is running smoothly, only a new motor wil do the trick. I don't need to replace the system yet, but I am on the lookout for something that wil fit. I am not at the point yet that I have exact sizes of all things, but looking around my eye did fall on the Ford Ka systemfrom around 96. Angle and fitting does look it may be a alternative with some adjustments. Not sure that its possible, but will find out in time. Is there anyone with progress on this topic? What about Simon, anybody checked there? 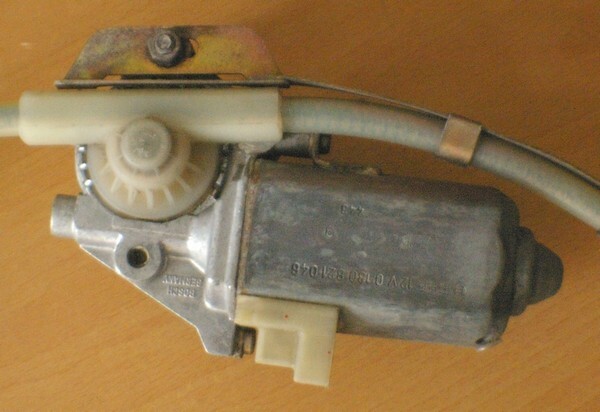 My French is bad but I believe there is a new electric motor which came on to eBay today. Yes the motor is probably the real fault. The mechanism is rarely at fault from my experience. And the clicking is also a common problem - see my FAQ's for the low-down. That is also explained in my FAQ's However, it was only finished recently so I do accept that it may not have been there when you last visited. Another reason to at least check the index page occasionally. One suggestion here to you and others. Since you don't really need an electric window on the drivers side (which is easy to reach and work) but an electric one on the passenger side is almost a must as it is out of reach, and in the UK at least it is often the one you need for tolls, booths, etc. why not do what Mercedes used to do and I did with mine. Change the drivers door to manual (plenty of these available as every wanted electric!) and then you can use your good motor on the passenger side. I am new to the forum and new owner of a Murena. But I have helped a friend restoring his Murena and one thing I did on it, was fix the passengerside electric window. When it worked it was very slow. This turned out to be caused by all the gunk that had build up, over the years, in the guides and on the edges of the window. Removing the glass and cleaning everything, made it work great (when it worked) After putting everything back together it didn't work at all. After much troubleshooting, we found that the reason it was not getting power, was that the wire feeding the power to the window switch had falen off, ON THE DRIVERS SIDE. It turns out that the passenger window get its power from a wire connected to the driver side window switch. Squeezing the terminal for a tighter fit solved the problem.